A new centrally located venue! The 5th annual Manufacturing Indaba will be hosted at the Sandton Convention Centre in Johannesburg, Africa’s economic hub. Industry 4.0 and the Internet of Things are fundamental in promoting digital transformation in South Africa’s manufacturing industry. This theme will be prominent at the main 2-day conference and a dedicated Internet of Things / Industry 4.0 conference. To ensure that this year’s event offers all delegates and exhibitors the opportunity to engage with high-profile guests and speakers, the Manufacturing Indaba 2018 is proud to once again host its Business Matchmaking Programme. In support of small manufacturers, this year’s conference will witness the 3rd edition of the Small Business Indaba which aims to target prospective investors and mentor potential manufacturing business owners. The 2-day Manufacturing Indaba exhibition will take place once again, and will also feature the first ever Small Business Indaba exhibition. This year’s symposium promises to raise the bar by hosting an official Hosted Buyers programme with buyers representing Procurement Managers, Municipal Managers and Company Buyers from the large corporates in attendance. Manufacturers from across the SADC and East Africa region are expected at the event with the vision of promoting Intra-Africa trade to support Africa’s growth trend. 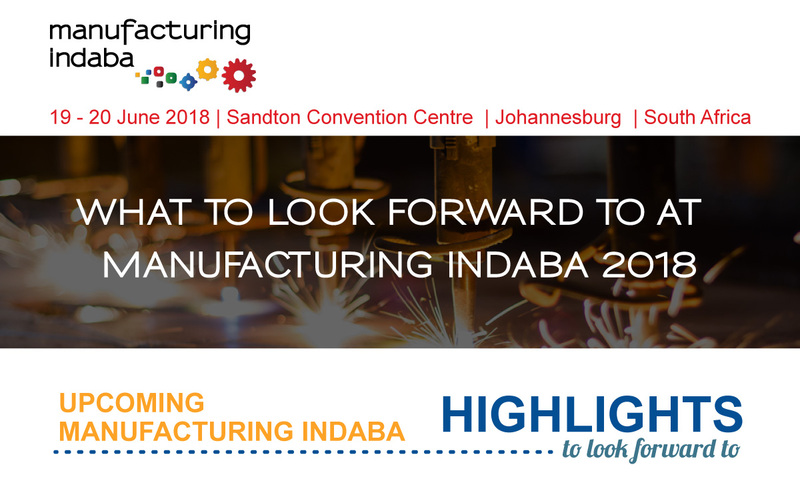 The 5th annual Manufacturing Indaba will be hosted at Sandton Convention Centre, Johannesburg from the 19 – 20 June 2018. The event will comprise a two-day conference and exhibition and is hosted in partnership with the Department of Trade & Industry (the dti), the Department of Science & Technology, the Manufacturing Circle and the NCPC-SA. The event is designed specifically for private and public company representatives to hear from industry experts as they unpack challenges and find solutions for growth across the manufacturing sectors and explore regional trade into Africa. The 2018 event will launch the IoT / Industry 4.0 Conference aligned to the Manufacturing Indaba as an official side event. PreviousPrevious post:Meet with this year’s high-level speakers, exhibitors, sponsors and delegates through the Business Matchmaking ProgrammeNextNext post:Do you want to meet Manufacturers?